Hungarian cruiser Imre Szello (13-0) take on Brazilian Hamilton Ventura (15-3-1) in the headliner of Felix Promotion´s show at the Castle of Varpalota in Varpalota, Hungary, on Saturday night (Sep 17) with the vacant WBO I/C title at stake. Lightheavy Richard Baranyi (16-1) take on Georgian Giorgi Beroshvili (27-11-2) in the co-feature with the vacant WBO Euro title at stake. Spanish welter Kerman Lejarraga (16-0 and WBA Int´l champ) is in against Koba Karkashadze (20-12-2) November 12 in Bilbao in an eight-rounder. Karkashadze have gained quite a reputation in Spain after tough fights against the likes of Kevin Dotel. Ferino V and Jose del Rio. 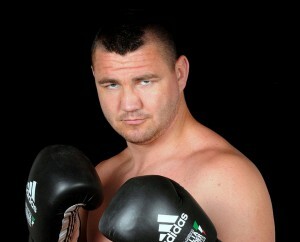 Also on the bill is superlightweight Sandor Martin (27-1). The show is topped by a Spanish title fight at superlwelter between Antonio Benitez (10-0) and Javier Garcia Roche (17-5-1). Spanish boxing is on the uprise and these are some of the fighters to keep an eye on. The World Boxing Federation. WBFed, and not to be confused with the World Boxing Foundation nor the World Boxing Forum stage its third World Convention September 23-25 in Maribor, Slovenia and stage a show as well co-promoted by former IBF (and WBFed) welter champ Jan Zaveck. Maltese lightheavy Malik Zinad (5-0), managed by Maltese resident Donny LaLonde, take on Hungarian veteran Attila Palko (23-25). In other action French superlightweight Jean Moraiti (12-9-4) face Georgian Mikheil Avakyan (36-36-4) and finally South African superfeatherweight David Rajiuli (7-5-1) is in against Giorgi Gachechiladze, also from the Republic of Georgia and 21-23-1. The WBFed International title is at stake in all three fights and records mentioned are all from boxrec.com.